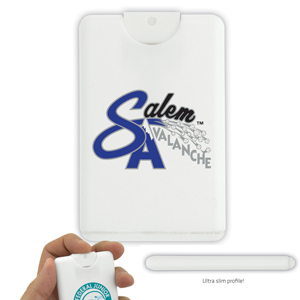 An odourless FDA approved hand sanitiser spray. We can only print on one side. There is a label on the other side. Ground Shipment Only. SKU:H-310. Categories: Sanitisers, Promotional Merchandise.